Getting married in Montana is pretty special and unique. 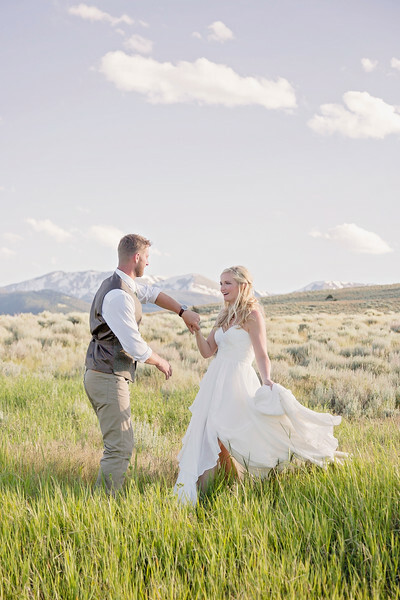 So why not hire a photographer who is native to state and knows her way around to all of the most beautiful locations? Shanna Mae brings a fun and adventurous style to your wedding day and captures photos that will make those memories last for generations. All Wedding Collections include your Engagement Session to get the fun started, Fully Edited Images, Digital Downloads, and an Online Photo Gallery for your Family and Friends. Every Wedding is different, so please feel free to ask about custom packages, off season wedding pricing, and weekday pricing. I LOVE to travel and I am passport ready, so if you want me to travel to your wedding or you are having a destination wedding, just tell me the location and I can get a quote to you! Please contact Shanna Mae for pricing and info!